With the countless number of potential foreign imports being linked with a move to the club, the rumours of domestic players involving the Magpies often seem isolated and unusual. 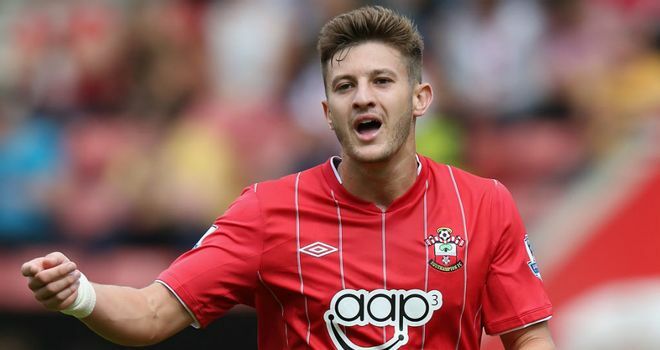 Yet despite the ugly reputation being attributed to English footballers for being overvalued and overrated, the prospect of Adam Lallana possibly being on his way to St James Park should excite fans. The Southampton skipper has been in formidable form this season, being a focal point of a midfield and attack which has served the South coast side so well thus far this season. The 24 year old has two goals and four assists to his name, an impressive statistic considering his side are still adjusting to life in the Premier League. Initial reports suggest the ex England U21 international could be available for around £5m despite having signed a new four-year deal only last year at St Mary’s. It is possible that a move for the attacking midfielder will hinge upon his current club’s position in January, or at the end of the season. Naturally, it is difficult to determine whether such a rumour can be trusted at this moment in time. However, what I will say is that Lallana could be a very astute signing for the club. Having previously managed the playmaker at Southampton, Alan Pardew should know what role he’d have to play in the team. Admittedly, Newcastle already have an excellent attacking midfielder in the form of Hatem ben Arfa, who is undoubtedly a fantastic player. However, Lallana might offer something different to the set-up. Whilst Ben Arfa is renowned for his dribbling abilities and trickery, Lallana’s strengths are his passing ability and willingness to work extremely hard. Clearly, the latter would add some welcome variation to the position, and also some healthy competition. This is certainly an interesting rumour, for I think Lallana could be someone who could freshen up the team a bit and add a new dimension to the midfield, which may possibly pay dividends for Ba & Cisse. Compared to the average prices of English players, £5m would be an excellent purchase, though it remains to be seen whether Southampton really are willing to sell for that price. Time will tell whether this story has substance. For now though, I’d be interested to hear your views on the player. not being funny but they’d have to quadruple that figure before wed even think about it at this stage! if we go down then thats a different story but right now hes not going anywhere. also worth noting that he stayed loyal and turned down countless offers when we were int he lower leagues so why would he leave now to go to club evidently on the decline? just lazy journalism by the tabloids, making the pardew link! with all due respect to Newcastle, are you more likely to stay in the Pemier League than we are. Well not on the form showed at St Marys. Also Lalanna went it would be to a bigger southern based team…and not for under £10m. The good thing is we don’t need the money so it is highly unlikely it would happen.